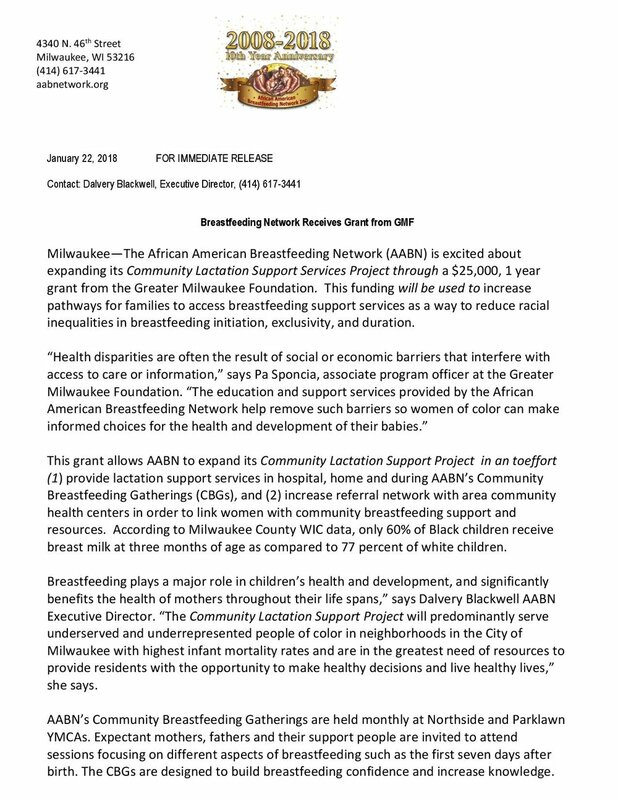 Milwaukee—Milwaukee’s only African American Breastfeeding Network (AABN) has received a total of $100,000 in grant funding to heighten awareness of the value of birthing with a doula and to support women at risk for not breastfeeding. Doula-assisted mothers are four times less likely to have a low birth weight baby and two times less likely to experience birth complications involving them or their baby. According to research, when informed and supported, African-American mothers are significantly more likely to initiate breastfeeding. "Given the substantial presence of mothers in the work force, there is a need to establish lactation support in the workplace." The Normalizing Breastfeeding project in Milwaukee seeks to increase breastfeeding initiation, duration and exclusivity rates by providing provides support services to pregnant women, expectant fathers and new parents. Last week the African American Breastfeeding Network (AABN) held their monthly Community Breastfeeding Gathering. 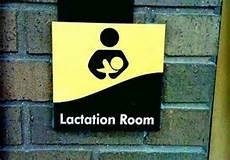 This month they focused on Child Care and Workplace Support of Breastfeeding. The class was held at Parklawn YMCA, 4340 N 46th St.
Dalvery Blackwell, co-founder of the African American Breastfeeding Network, discusses how breast milk is the best nutrition for babies and young children. AABN Featured in the April 2015 issue of Essence Magazine"10 Things People are Talking About"
On January 20, 2016, Rep. Lisa Subeck (D-Madison) introduced LRB 3285, a proposal to strengthen current federal law (Break Time for Nursing Mothers) by closing the gap between wage and salaried employees and ensuring that women who need unpaid break time to breastfeed or express their milk remain eligible for employer-sponsored health insurance. Click on the link below to take action now!